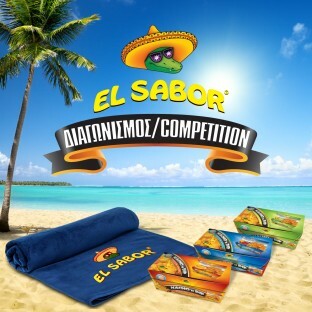 10 lucky winners will win a collective El Sabor beach towel and a box of Nacho N’Dip, the ideal snack for the beach. Winners will be announced on El Sabor webpage on Facebook on Tuesday 16/06/2015. Employees, company representatives and anyone professionally associated with El Sabor cannot be participated in the competition. Good luck and remember… Any time is time for El Sabor!